We had a really enjoyable and interactive day last Monday on International Day of People With Disability Dec 3rd– 2018. The Minister - Coralee O’Rouke asked us to create an educational experience of disability for everybody in the building. Some people were incredibly engaged and others hung back for a while, but once they started working with the activities they all participated well. I was so excited to be able to engage with and answer questions for everybody who had some. We ran a hands on experiential learning session for all of the Department of Communities staff. We set up at 8 am in the downstairs foyer at 111 George St, Brisbane. We put out simulations for staff to try throughout the day. We created experiences of autism, intellectual impairment, speech language issues, vision problems and total blindness. There were also a number of physical challenges that people engaged with. The session was called Inclusion in the Community & Workplace – Experience Disability - Brisbane City. We all explored the different activities together and some very interesting conversations emerged throughout the day. There were lots of questions and individuals helped create the answers to their own reactions to the activities. Some of the participants were unsure as to how to say certain things. They were worried they may use the incorrect language or they may offend somebody. Discussions about these issues helped break down barriers and also enhance knowledge about disability and how it affects people across many facets of their lives. It is going to be interesting to re look at some of the activities and how the participants reacted to them. The Department filmed most of us participating through the day and really captured some of the struggles but also some of the real achievements of those who participated. Most people started to feel quite tired and their energy levels dropped and they needed to head off for coffee and chocolate! I was very impressed by the fact that everybody who came down to participate was willing to have a go. They did not hang back but jumped in to feel what it was like to have glaucoma or macula-degeneration and a variety of physical disabilities as well. I had to transport my hoist and slings so I could go to the toilet and move in and out of the car. There were many questions about this and how it worked as well. Participants could also undertake an obstacle course in my manual wheelchair and if they completed all of the requirements they were able to get a wheelchair license. Many laughs and repetitive movements later we had given a few licenses away! Most people decided chairs were not as easy as they looked! 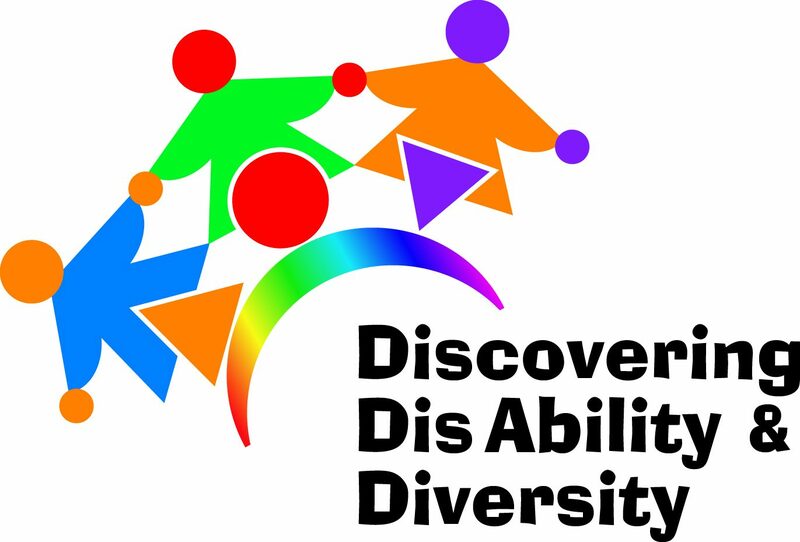 n Analyse Disability and diversity – Everybody can have a go. n Look at disability & diversity awareness in the workplace and the importance of experiential understanding – what does it feel like to have vision problems or Autism? n Experience Disability and Diversity for yourselves - A ‘walk in the shoes’ for a very short period of time. What is Physical Impairment or Disability? A physical impairment affects the ability to move or to coordinate and control movement when performing tasks. A physical impairment may also affect the ability to use or feel certain parts of the body. All impairments and disabilities are different and the way they affect each individual is unique. We should not generalise with disabilities. Physical disabilities occur widely. It is important to realise that physical disability goes beyond having to use a wheelchair or wear a back brace. There are many conditions, such as multiple sclerosis and chronic fatigue syndrome, which are outwardly invisible but result in physical disability. The Australian Bureau of Statistics estimated that in 1993, 2,251,200 people or about 12.8 percent of the Australian population had a "physical" disability. We are often very aware of physical disabilities but find it quite a bit harder to understand disabilities like Autism, Asperger's Syndrome, Intellectual Impairment, Speech language problems, Dyslexia and many other hidden disabilities. We often see no difference when we look at the outside of a person and many times because we don’t understand their disability we jump to wrong and hasty conclusions, such as, they have a behaviour management problem etc. Through experiential learning comes a deeper understanding. Hidden disabilities are very complex and very difficult to really gain a good knowledge of. We need to ask questions. Education is the key to breaking down barriers. Experience – Perceptual Problems, Dyslexia, ASD, Autism or Asperger’s Syndrome, Intellectual Impairment, Speech language problems, Vision problems? · Importance of boundaries and expectations. · Importance of Education and Listening. · Remember the importance of - Relationship, Support. · Use of groups to create solutions. · Importance of valuing everyone. · Awareness of different learning abilities and multiple intelligences across all people. · New knowledge, new learning, new pedagogy …new solutions!!!! Good attitudes – Unbiased, flexible, give everybody a voice. * Real passion coming from within. * Individuals with interiority – value all. * People who are professionally and ethically committed. 1. What am I doing well in my support and planning for individuals with physical and hidden disabilities in the community?